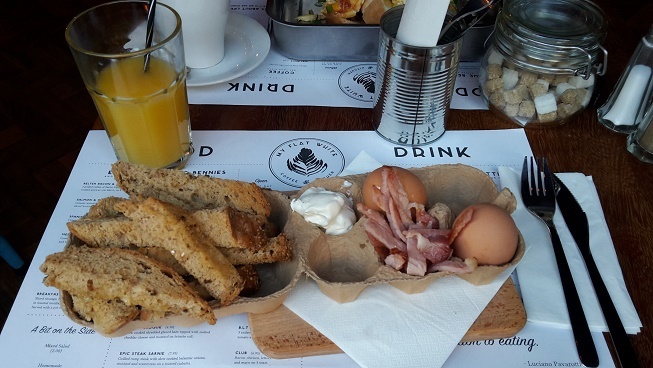 Whether it's an all-day breakfast or an Eggs Benedict you're craving, the small and welcoming team at Liverpool's newest bistro will serve it up as the perfect accompaniment to your silky smooth caffeine kick. 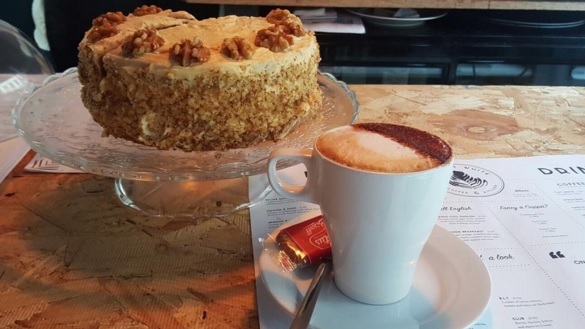 'My Flat White, Coffee and Kitchen' is quaint and cosy, serving simple and hearty meals, while managing to evade the greasy spoon café ambiance that city centre cafés and coffee shops can often find themselves guilty of. Perfect for when you want to escape the hustle and bustle of main street city centre haunts, yet handily nestled just a stone's throw away from the city's prime shopping mecca, L1. Located amidst a plethora of hotels and corporate buildings, the clientele of the eatery reflects the eclectic nature of the city, with customers ranging from the local builders calling in for their elevenses, to resident entrepreneurs popping in for their daily business meetings. Menu-wise the Spanish Eggs are a firm favourite with the locals; scrambled eggs tossed with prawns and spring onion on a bed of sliced thick, fresh bloomer and lots of salad garnish to boot. Quick visit or long, relaxing afternoon? Whether you're a coffee connoisseur or otherwise inclined, My Flat White is the perfect brunch pit stop on a rainy day. With a sound selection of soft drinks and free Wi-Fi too, you can try the daily specials such as hearty homemade soup courtesy of their authentic Italian chef and settle in. For all the latest happenings follow them @myflatwhite and keep your eyes peeled for events, such as their recently launched bespoke Bistro night (three courses for £20 inc. bring your own wine! ).